The U.S. border isn’t in sight, but 12 caravan migrants filed a lawsuit Thursday against President Donald Trump for supposed violation of their constitutional rights. The 12 from Honduras allege in their lawsuit, filed in Washington’s U.S. District Court, that some aren’t aware of the “well-documented human rights crisis” that is affecting Guatemala, Honduras and El Salvador. The plaintiffs also say they have been denied access to the Administrative Procedure Act and the Declaratory Judgement Act. The plaintiffs are particularly concerned about how Trump has affected public opinion by employing tactics of “fear and hysteria,” specifically suggesting there are MS-13 gang members and other criminal elements traveling with the caravan, Fox reports. A Reuters report detailed how some of the migrants are armed with guns and Molotov cocktails that could presumably be used against U.S. border patrol or army personnel. Another migrant confessed to a reporter that he had been convicted of attempted murder, but hopes he can obtain a pardon in the U.S.
A caravan of thousands of migrants from Central America, en route to the United States, makes its way to San Pedro Tapanatepec from Arriaga, Mexico Oct. 27, 2018. REUTERS/Ueslei Marcelino. Vice President Mike Pence has said that the President of Honduras told him Venezuela was funding the caravan phenomenon. Pence has also expressed his conviction that Middle Easterners are also part of the migrant force, an allegation Trump has echoed. 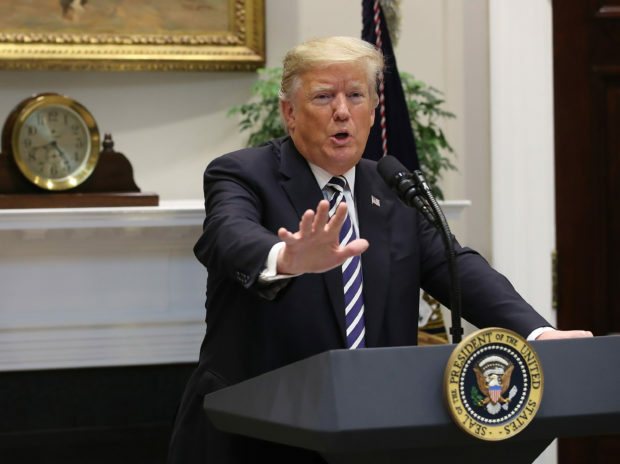 On Wednesday, Trump announced that his administration is ready to send 15,000 troops to the Texas border to reinforce border patrol and National Guard troops already there. Initial reports said 5,000 members of the military were going to be tasked with providing such assistance.